You can add less sugar (you cannot control the amount when you buy it already made), you can make it gluten-free (only by using all-purpose gluten-free flour instead of wheat flour), and you can bake it instead of deep-frying. Sure, it might turn out less fluffy and moist than a Krispy Kreme, but it’ll nevertheless be yummy and, most importantly healthy. Yes, you heard that correctly. 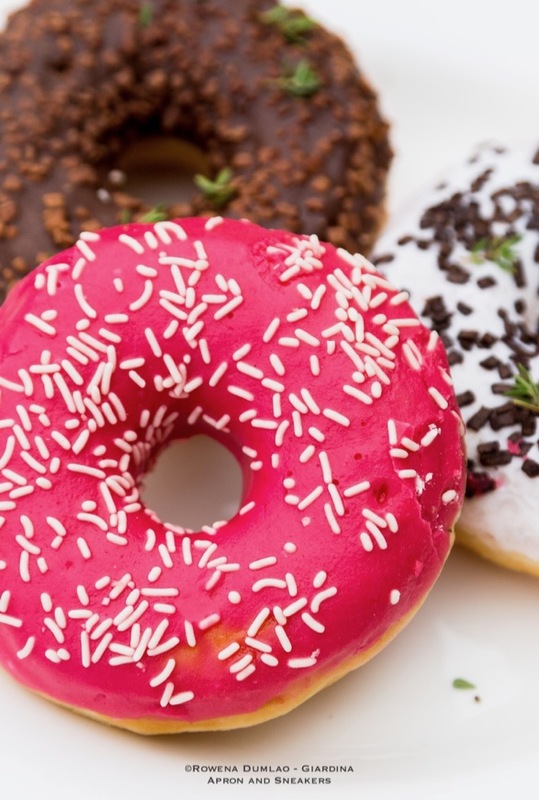 You can make delicious yet healthy donuts. As a high quality waffle equipment supplier we have proven that, when we put together a recipe for mini donuts (we recommend miniatures because they’re healthier than the alternative) you can easily bake in the comfort of your home. We’ve also added four delicious topping ideas that are sure to compliment your taste buds. Coat a pan with cooking spray and preheat the oven to 425°. Mix flours with the dry ingredients in a bowl and stir well. Mix the eggs, buttermilk, honey, vanilla, and butter in a separate bowl. Stir until everything is blended evenly. Combine the buttermilk mixture with the flour and mix until they blend. Spoon batter into the pan, filling 2/3 full. Bake for about eight minutes until the mini donuts spring back when touched. Let them cool for about 4 minutes. Once you’ve got the base, it’s time to think about the toppings. Whether you prefer the taste of orange, vanilla or chocolate, this is the part where you can get creative. But given we like to be health-conscious even when it comes to desserts, our next four recipes take the number of calories into account. As much as we hate counting calories, we how important they are for your overall body mass and, ultimately, our heart’s safety. Don’t worry! Being mindful about your health can still make a good mix with finger-licking foods. So, take a pen and paper, write the next recipes down and prepare for a seriously delicious feast nevertheless! Preparation: Mix 1/4 cup of ground cinnamon with 1/4 cup of sugar. While your simple mini donuts are still warm, coat them in the cinnamon-sugar glaze. Place them on a rack with the sugar-coated side up and let them cool down a bit before serving them. Preparation: Melt one cup of bittersweet chocolate in a heated pan until smooth. Fill a zip-top plastic bag with the melted chocolate and snip a tiny hole in one of the corners. Pour the chocolate over the mini donuts and let them chill for about 10 minutes. Preparation: Mix two tablespoons of fresh lemon juice with half of cup of powdered sugar. Stir with a whisk until the mixture blends. Dip one side of the donuts into the creamy texture. Let them sit on a rack until they cool. Preparation: Melt six ounces of bittersweet chocolate in a bowl in microwave until it melts. Dip the mini donuts into chocolate and place the glazed side up on a rack to cool. Lastly, sprinkle 1/2 cup chopped hazelnuts on top and let them set for about 10 minutes. 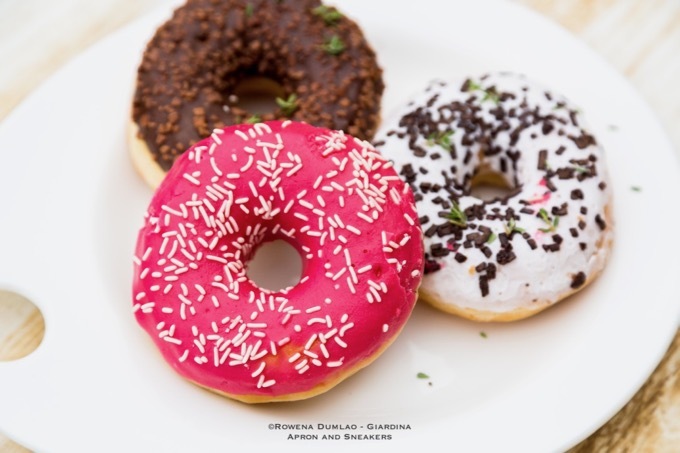 If you crave something sweet but need to keep an eye on your diet or just want something that it’s not loaded with sugar and preservatives, then these mini donuts recipes are the healthy alternative you were looking for.